Two of the MEAC’s top teams clashed in Daytona Beach as Norfolk State traveled to face Bethune-Cookman. The Spartans came into this game with an unbeaten record in MEAC play but that is no longer the case. The Wildcats defeated the Spartans, 84 to 76. The Wildcats led for the majority of the game. Their dominance and victory were fueled by Cletrell Pope who scored 22 points and grabbed 15 rebounds. He was active on both sides of the court, also tallying three blocks. Malik Maitland had a huge performance as well, scoring 18 points in the win. 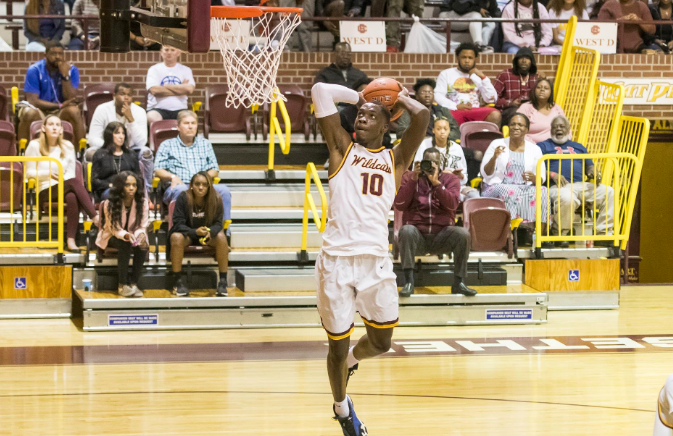 Bethune Cookman’s Cletrell Pope had 20 points and 15 rebounds – his 16th double double of season – in a win over Norfolk State. Coach Ryan Ridder has dealt with injuries and is down a couple starters and has used 12 different starting lineups this season. Despite the good performance, the Wildcats’ shooting woes helped the Spartans (13-11, 8-1 MEAC) rally towards the end of the game. Steven Whitley scored 19 of his 23 points in the second half and Derrik Jamerson scored 13 of his 16 points in the second as well. The Spartans played well but the absence of Jordan Butler, Kyonze Chavis, and Nic Thomas due to suspension hurt the Spartans. Bethune-Cookman is on a roll as they have beaten NC Central, NC A&T, and now Norfolk State in its past three games. It will face Howard on Monday to close out the toughest stretch of its MEAC schedule. Norfolk State will head to Florida A&M on Monday.